Wikileaks Staff + Julian Assange Defence Fund hasn't added a story. 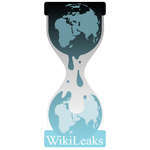 The WikiLeaks official legal and public defence fund is raised and run by the Courage Foundation, which also organises and maintains a dedicated campaign team to defend the WikiLeaks staff, advocate across global media and build support for WikiLeaks in its legal battles around the world. This fund is for WikiLeaks’ legal defence. If you wish to donate to support Courage's other work in protecting truthtellers and the public’s right to know worldwide, please follow this link. For more information on how the fund operates, view the Courage terms at Derek Rother and Company LLP Chartered Accountants. Payments are processed via an agreement with PayPal - you can pay with a credit card or a PayPal account. Please tell your friends via Facebook, email and on Twitter about this fund and how they can help. Wikileaks Staff + Julian Assange Defence Fund hasn't posted any updates yet. The trust fund has been set up by the Julian Assange Defence Committee: John Pilger, Susan Benn and Prof. Gavin MacFadyen and the accounting firm Derek Rothera and Company LLP. The Terms of the Fund can be found here. Wikileaks Staff + Julian Assange Defence Fund is managing the funds for this campaign.